This Hotel is located 5 minutes from the Beach away from the cluster of the others. The rooms are excellent with private balconies overlooking the sea. Very quiet and tranquil, ideal for couples. A full catering is offered along with a variety of drinks including some natural juices unique to Jamaica. Fruited grounds and acreage of land to walk around. Clean, Comfortable with Great hosts! We enjoyed our stay at the Southview Hotel. Donny, the owner made us feel very welcome. He has recently renovated this beautiful property into a great hotel. 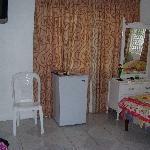 We were traveling with a few friends and rented two rooms. Our room was really nice, It had a big king sized bed & a twin bed for our daughter. It had a HUGE walk in closet, a private balcony , air conditioner and private veranda. There is a pool and bar on the premises. There is a chef on site- Mrs. Roberts, who makes great breakfasts, either American or traditional jamaican style food. 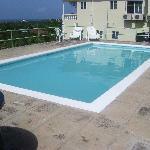 The hotel is located in the Treasure Beach area of Jamaica.... it is very quiet and relaxing here. The owner, Donny, can set you up for your own vehicle or with a vehicle and driver for any tours that you desire. 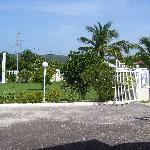 He has recently updated this property and the hotel grounds have wonderful fruit trees. A great area to walk around and no one bothers you in this safe area. Donny and his staff make sure that you have everything that you need. He even personally drove us to our next destination when we were leaving. We couldn't ask for anything more. He exceeded our expectations. Many thanks!